don't know if this is anything new .. but it is a good read. Your business needs a Firearms Business Licence if it possesses firearms, restricted or prohibited weapons, prohibited devices (except for replicas) or prohibited ammunition. As noted earlier, replica firearms, except replicas of antique firearms, are prohibited devices. It is not an offence to possess existing replicas, but there are restrictions on selling, trading, giving or lending these replicas. As well, replicas may not be manufactured, imported, bought or acquired in any other way except for certain prescribed business purposes, such as for use in a motion picture, television, video, theatrical or publishing production. The Special Authority to Possess Regulations (Firearms Act) make special provisions for the manufacture or lending of replica firearms for a prescribed business purpose. If your business is licensed to do so, it can temporarily transfer replica firearms to an unlicensed business or individual (also referred to as a "transferee") for use in a movie, television, video or theatrical production or in publishing activities. When your business temporarily transfers replica firearms, it must keep records, including a description of each replica, the date of the transfer, the number of replicas being transferred, and the name, address, and telephone number of the transferee. It must also make these records available to a Chief Firearms Officer upon request. A temporary transfer period cannot exceed one year, but the transfer period can be extended an additional year if your business updates the information outlined above. Last edited by szetor; October 29th, 2007 at 13:19.. It's just that everyone knows you need a BFL to sell, and that's how Mark sells guns. Last edited by Styrak; October 29th, 2007 at 13:55..
Last edited by szetor; October 29th, 2007 at 13:57.. Thanks for outlining the key points. It was indeed an interesting read. +1 yea was good to read. if you read it you would see that there is no provision to "Sell guns" there is only a provision to "Temporarily Transfer" them and only for proscribed reasons. It is not legally possible to sell replica Firearms to a person that does not posess a BFL and a special Authority to Posess license for Replica Firearms. Airsoft guns exist in a Quantum state.. neither Firearms nor Replicas nor immitation firearms... they are none of these things and all of them at the same time... only under the scrutiny of an outside observer do they become defined. For example, the CBSA takes the position at all airsoft guns are Replicas.. though this definition does not persist beyond the border. The court takes the position that only replicas that are proven so in court are applicable for the attributiuon of offenses. and individuals that own airsoft guns consider them immitation firearms.. The way that one ensures that your definition holds is to never have your immitation firearms observed by someone that may have a different perception.. and may be able to enforce it.. in short.. buy them.. keep them and don't be stupid with them. Anyone who chooses to trade in airsoft guns runs the risk of being charged with a weapons trafficing offense.. if such guns are observed being sold.. and the law chooses to proceed with charges.. which they won't typically when individuals are involved.. but they may when large volumes and bulk sales are involved... which we have seen..in the case of the Retailer Implosion of 2006-2007. Heh, quantum airsoft guns. I like it. Let's just hope nobody kills the Cat. 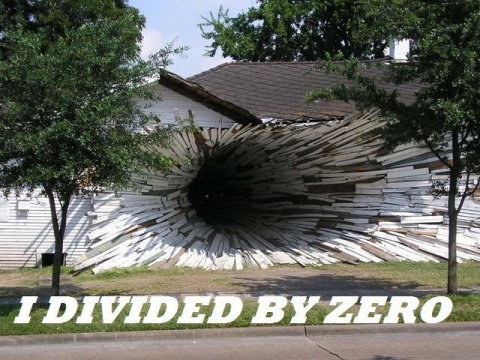 I think that once we finally decide to divide by zero, this whole mess will go away. That was a very bad move on your behalf. Sort of like cutting off your foot for money, but not getting the money first and then letting the person with the money run away. Liberals rely on emotion. Conservatives rely on evidence, and the Socialists rely on everyone else. 10 print "this is a recording"
Given the amount of "unregistered firearms" I see being offered/asked for out in the open on local online classifieds, I wouldn't go into much of a panic about airsoft right now, I doubt it's very high on the priority list. Pepsi. All over my screen.